Turmeric leaf oil-A possible fuel for automobiles? 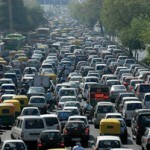 Vehicle population is on the rise all over the world. 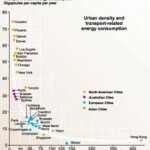 So is the human dependence on diesel. Have you ever wondered what emission from a diesel engine can do to your health? If not, read on. Faced with a large scale increase in the number of private vehicles, rising traffic pollution, constant increase in fuel prices and growing traffic pollution, the European Commission – the executive body of the European Union – launched the Archimedes Project in 2008 under the City-Vitality-Sustainability Plus Initiative. Slated to be completed by 2012, Archimedes has promoted clean fuel environment-friendly vehicles and non-motorised transport, and at the same time, introduced innovative measures to reduce traffic congestion and enhance commuters’ safety.